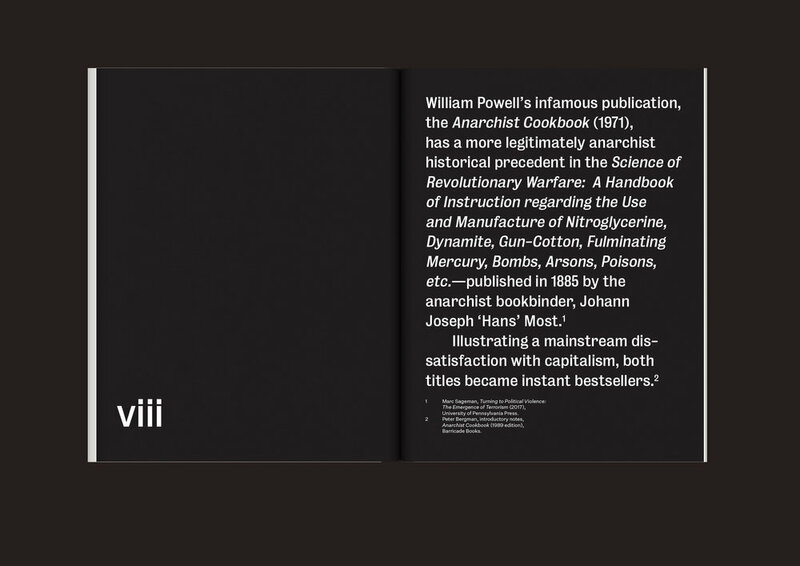 When William Powell’s infamous publication, The Anarchist Cookbook (1971), drew the attention of the FBI, agents were assigned to track which stores sold the book and to find out if William Powell was a pseudonym. 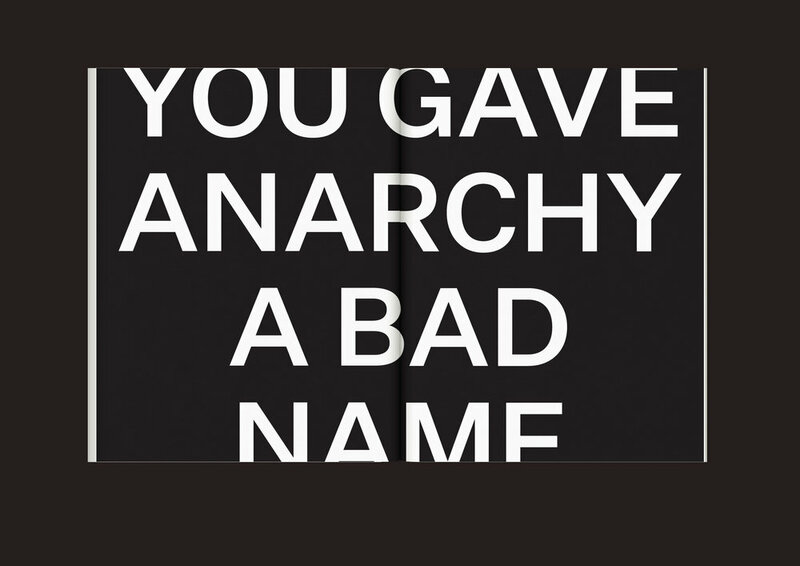 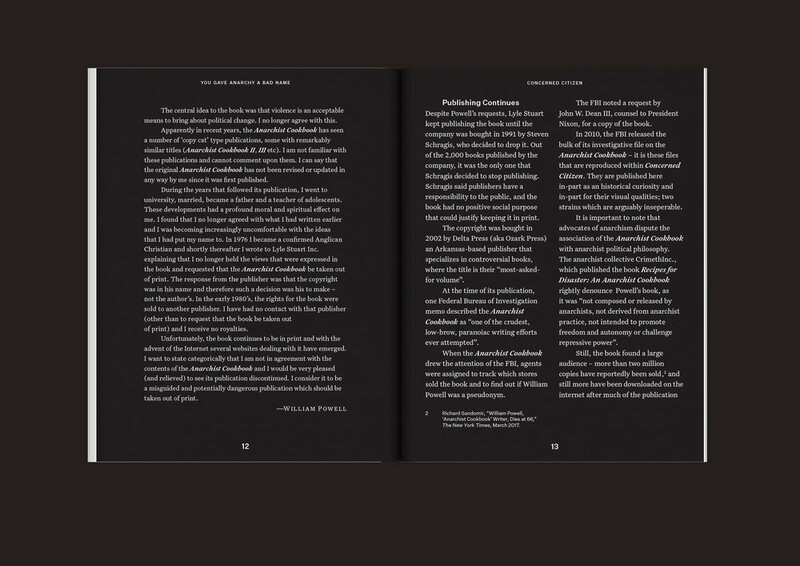 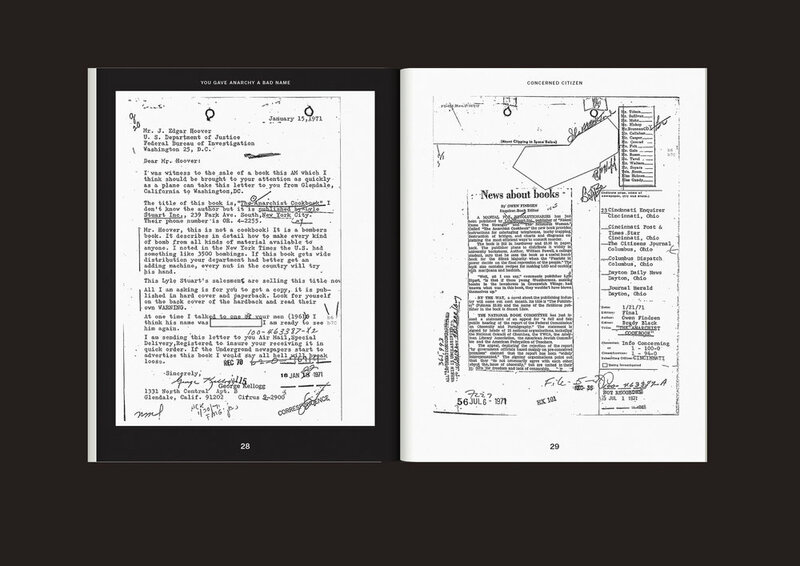 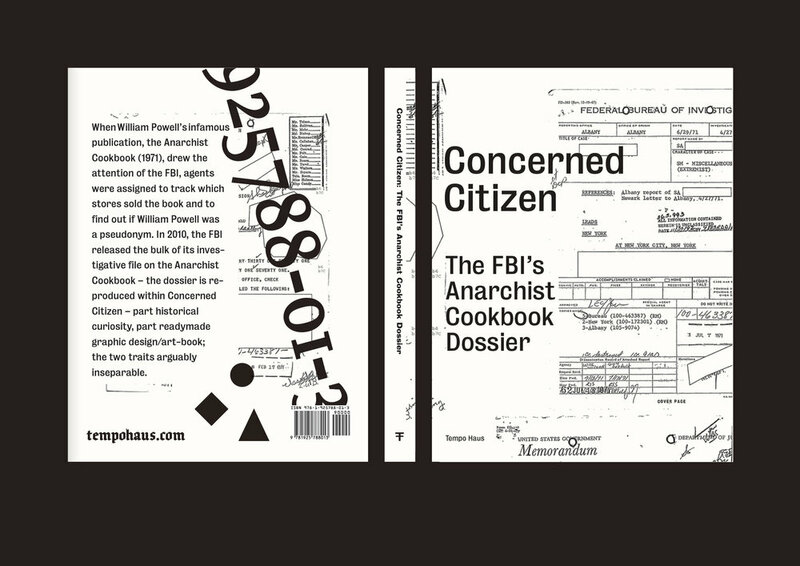 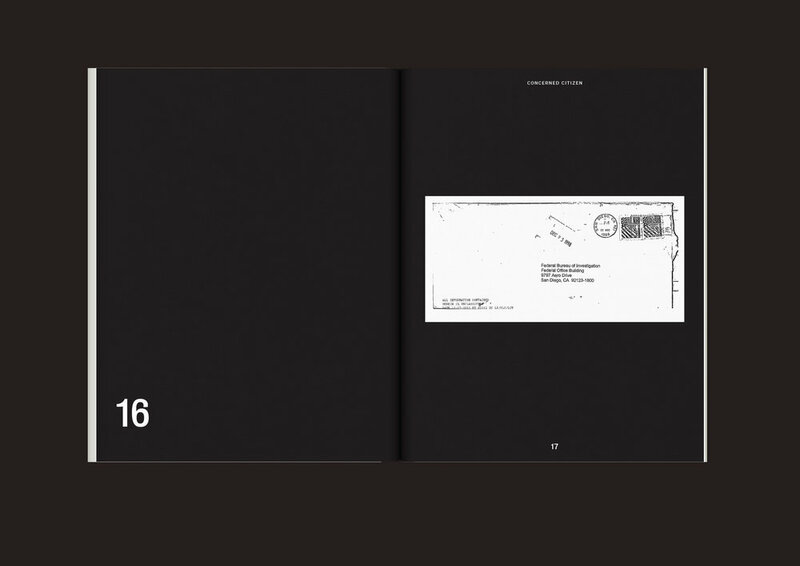 In 2010, the FBI released the bulk of its investigative file on the Anarchist Cookbook – it is these files that are reproduced within Concerned Citizen. 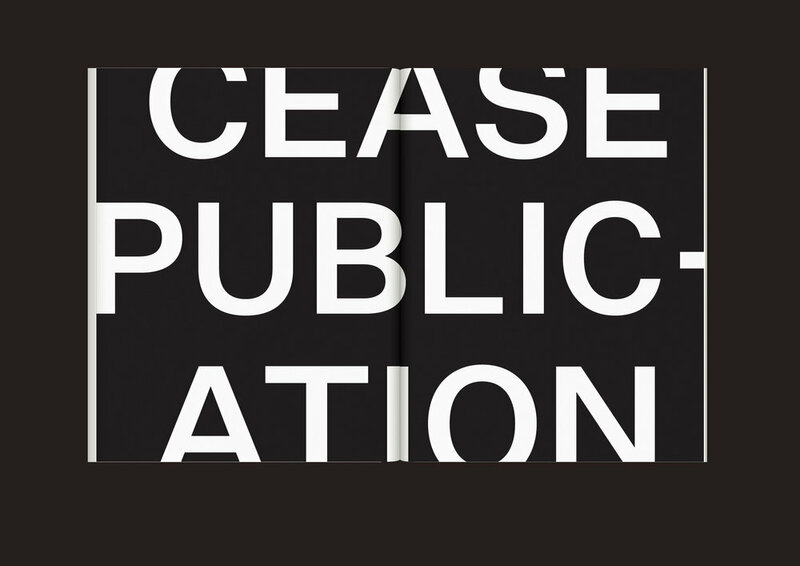 They are published here in-part as historical curiosity, and in-part for their readymade graphic design/art-book qualities; the two traits are arguably inseparable.